We understand what it takes to get hardware into the hands of merchants like you. For over 16 years, POS Portal has been busy deploying countertop credit card terminals to merchants across the globe. As a result, we are the industry leader having more partners than anyone in the merchant services industry. Working hard behind the scenes, POS Portal ships over 250,000 pieces of POS hardware every year on behalf of companies like Wells Fargo, BBVA Compass, and Capital One. 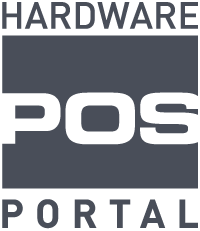 POS Portal knows how to get the right hardware right where it needs to be, configured correctly, and delivered on time. Dual shipping facilities in Sacramento, CA and Louisville, KY ensure that no matter where you’re located you can count on getting your hardware as quickly as possible. 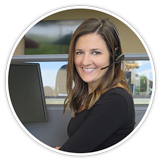 If you call us by 4:00 pm PST, we will ship you your replacement device that day for delivery on the next business day. Given all this experience, we hold a unique understanding of a merchant’s needs and acknowledge that the POS Tablet revolution is a great opportunity for you to finally get your hands on software and hardware that traditionally cost tens of thousands of dollars — for a fraction of the price. Partnering with Springboard Retail, we now leverage the experience and buying power to get you the very best prices on equipment. We understand it is always more efficient to cut out the middle man and buy directly from the source. With Springboard Retail and POS Portal, you can get the exact same hardware directly from the source at great prices, without long term commitments that tie-up credit lines, eat up cash, or limit your business’ growth.